TORONTO, ON – March 6, 2018 – Always bound by friendship, Darren Glover and Darcy Yates of Flash Lightnin’ resolutely refused to officially call it quits when Glover returned to Victoria in 2015, while Yates toured the world as a session player with Bahamas. While only gathering on occasion for special and memorable shows, such as their 10th anniversary in Toronto in 2016, it was finally time to acknowledge the inevitable, but not without a final, incredibly powerful recorded statement. 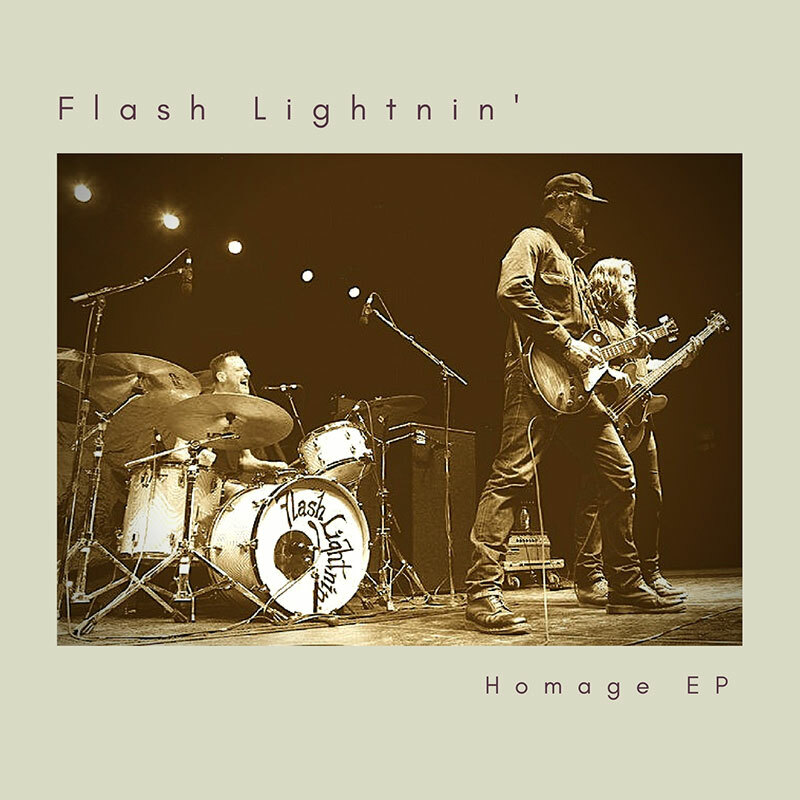 Today they are excited to announce that their upcoming EP Homage is set for release on April 6 via Pheromone Recordings. Along with the announcement they have given fans a taste of the EP today with their version of Jeff Beck’s interpretation of The Yardbirds’ “Shapes of Things.” Listen here. In the fall of 2015 Glover and Yates gathered with powerhouse drummer Blake Manning at Toronto’s Revolution Recording with Ian Blurton at the controls. Simply put the combination of Flash Lightnin’, Ian Blurton and Revolution’s cavernous Neve room delivered the goods and in spectacular fashion.